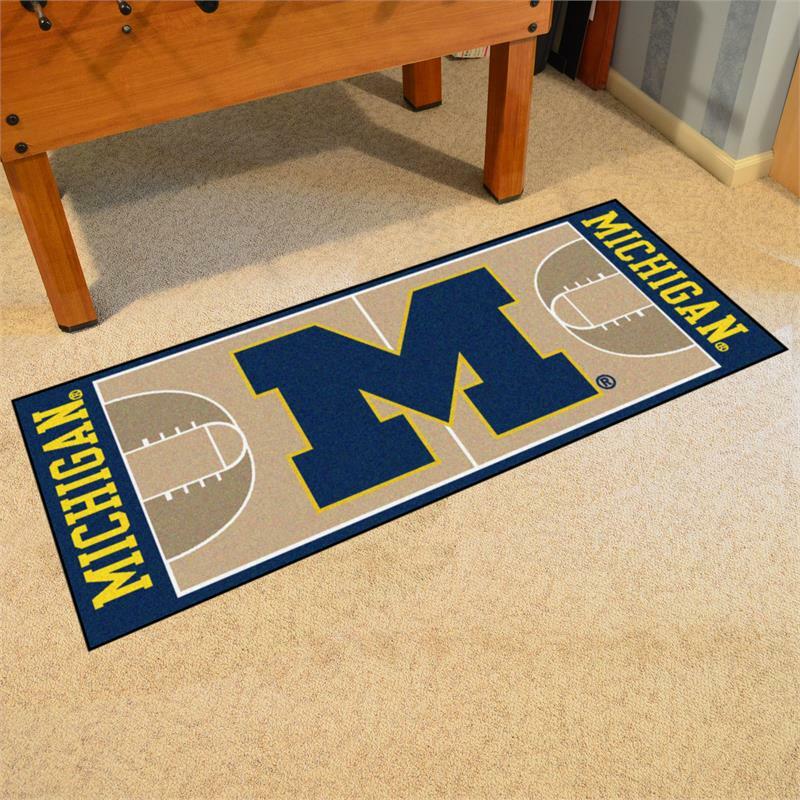 For all of you Wolverines basketball fans out there we have the ultimate way to make a team statement in your room: a Michigan Wolverines Basketball Court Runner Mat by Fanmats/Sports Licensing Solutions! Made in the USA, 100% nylon carpet and non-skid vinyl back. Officially licensed, machine washable and chromojet printed in true team colors. Let everyone know you are a diehard Michigan Wolverines Basketball fan!